It is the aftermath of a long war, in a world of constant winter. When an intelligence spy from the Resistance — the rabbit, Hardin — steals secret information from a military base of the Regime, his actions set off a chain of events that reverberates through the ranks of both sides, touching everyone from the highest-ranking officials to the smallest orphaned child. When the snow finally settles, who will be the true patriot and who the true traitor? 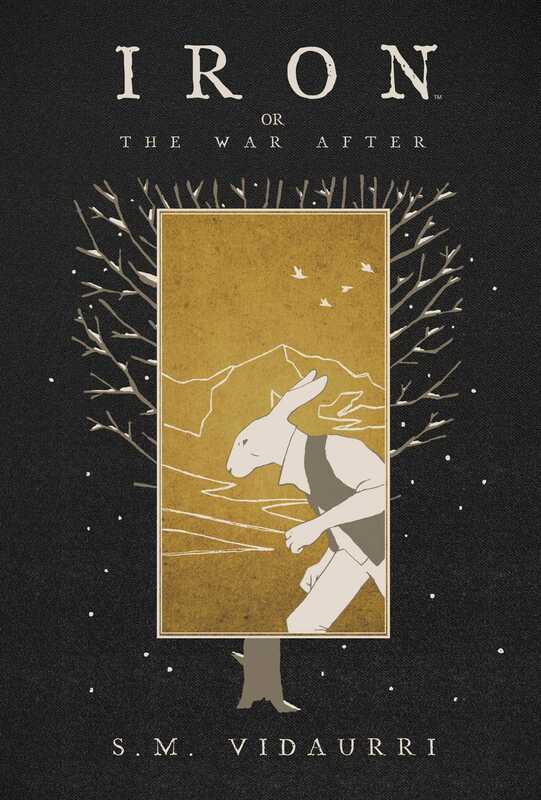 Iron or The War After marks the debut graphic novel from storyteller S.M. Vidaurri (Iscariot), who weaves a heartfelt fable shrouded in political intrigue.